RhineBuzz is delighted to be co-producing SHiFT, Social and Human ideas For Technology, which has now come to Düsseldorf. Founded by Pedro Custódio in Lisbon in 2006, SHiFT is a creative and vibrant exchange of ideas and realities for the future. 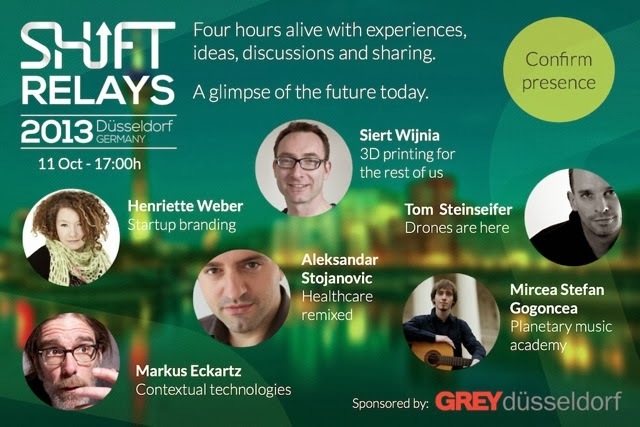 On October 11 2013 the SHiFT team from Lisbon and Düsseldorf will be hosting SHiFT Relays, a taster of the first SHiFT Conference in Düsseldorf, scheduled for next year.